The Sugar Addiction - Part 1 - Welcome to SarahKesseli.com! 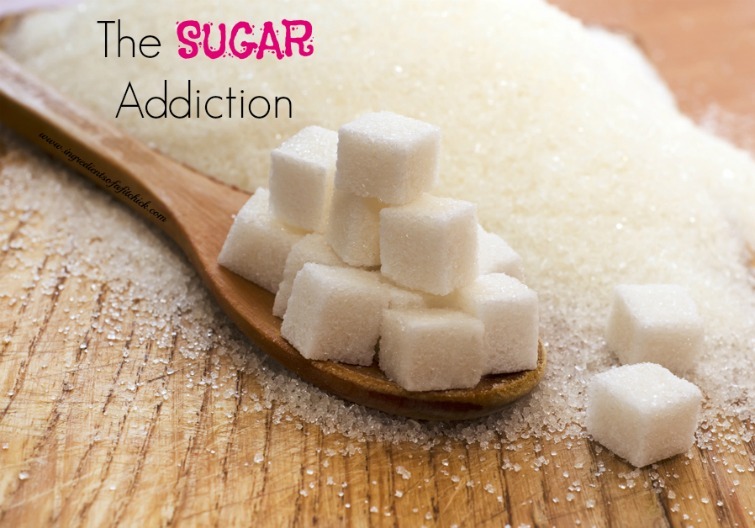 As most of us know, one of the hardest habits to kick when it comes to cleaning up our nutrition is our addiction to sugar. Sugar is in almost everything; candy, cookies, French fries, ketchup, bread, etc. When combined with salt (i.e, French fries) it creates one of the most addictive combinations. I will be honest, white chocolate covered pretzels (sugar and salt) are my arch nemesis. Once I start eating them I JUST CAN’T STOP!! New research is showing now that sugar does not only make us fat, but it also makes us sick! Recent studies have shown a strong correlation between sugar and cardiovascular disease (heart attacks, stroke, and artery disease). It is also a risk factor for type 2 diabetes, liver cirrhosis and dementia. Sugar has also become a focus in cancer research as well. But like I mentioned above, sugar is in everything making it very hard to avoid in today’s society navigate to this site. When you try to cut out sugar you begin to experience symptoms of withdrawals; headache, cranky, tired, cravings, etc. For most, the symptoms are not that extreme, but for some they are. If you have withdrawal symptoms like this it is recommended that you avoid simple sugars like agave nectar, honey, breads, cereal, past, etc. ; anything that quickly converts to sugar. For the rest of us, it is recommended that we keep our calories from added sugar to less than 10% of our daily caloric total. So how do you cut the sugar? The World Health Organization recommends eliminating all sugars and flours from your diet. This may be a bit extreme for most. I usually recommend gradually cutting back on these items and begin by replacing them with lean proteins (chicken, meat, etc), nuts, seeds, beans, non starchy vegetables and a moderate amount of whole fruit. In time, you will find that your cravings for sugar become less and your desire for whole foods will become more. You will notice a big difference in both your energy levels, how you look and your overall health in general!